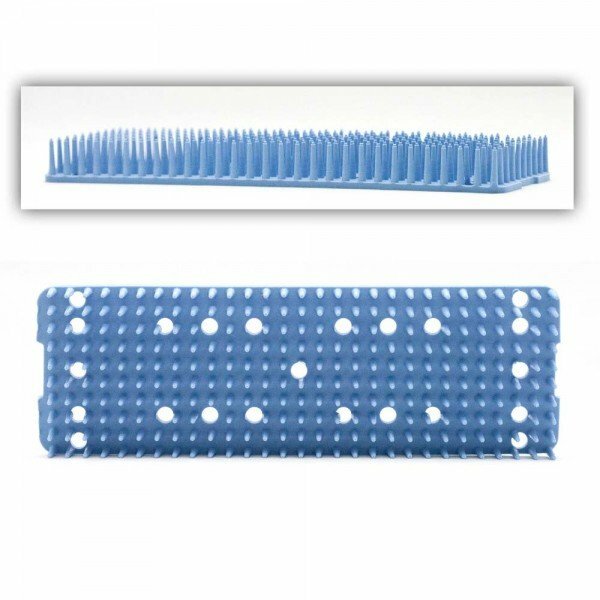 Silicone mat for use with sterilization tray 96-2700. 2.5 inches by 7.5 inches. The 96-2700 sterilization tray series features a slotted lid and raised node base surface to facilitate the circulation of steam and to aid in drying.